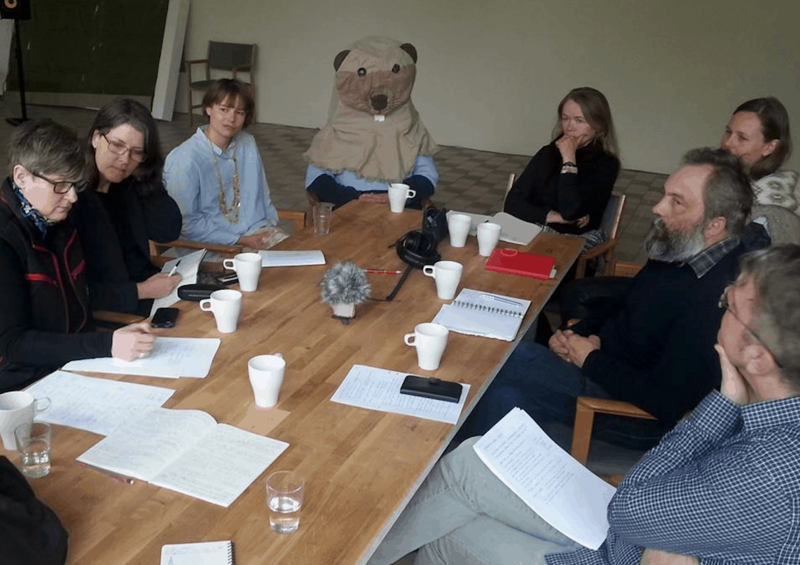 Konsthall C’s long­term investigation Sustainability – What Do We Actually Mean? wishes to build long­lasting relations with already existing collaborators with the Konsthall, as well as with new friends. We want to open for this by starting up exchanges and conversations, and some of these will be public at Konsthall C during May 2014. Sørfinnset skole/the nord land, Trampolinhuset, Kuratorisk Aktion, Ensayos, Sunshine Socialist Cinema, SIFAV and Mustarinda Association. All these long­term attempts aim at working and existing pre­figuratively. In the end of May, we also have the possibility to meet the artist collective Atis Rezistans from Port au Prince, Haiti. For us, our own as well as other contexts become a source and a possibility for analysis in a situation where the welfare state is pushed away from places where it previously existed. In parallel, other artificial commons are created, constructed from above and marketed as voluntary. But meanwhile, genuine attempts are being made at finding other commons that can fill needs not satisfied by what we previously referred to as the common. The complex relationship between lowered taxes and charity and voluntary organizations is a question we’d like to talk over, as well as how we can avoid the neoliberal strategies of increasingly extracting capital the more we work for free. This is an exhibition built commonly over time, and in the simplest way possible. Supported by Swedish Arts Council, ABF Stockholm, City of Stockholm and Nordic Culturefund.